Create a data source to acquire data into the solution from a DB2 database and a filter pane to display the data source. 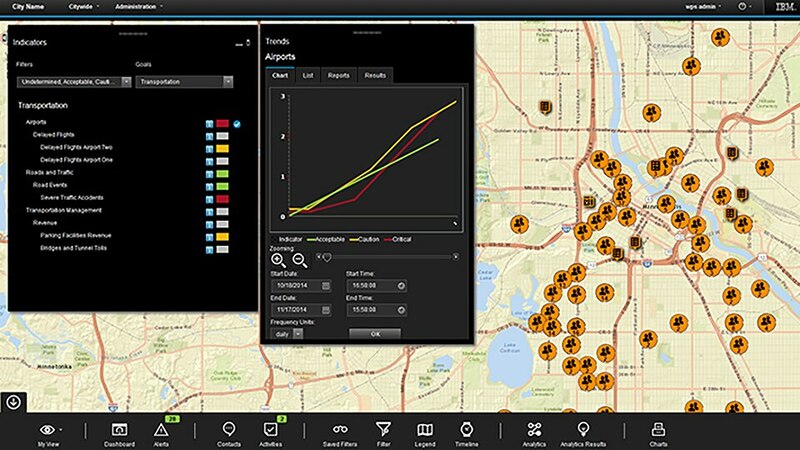 Use an executive dashboard to view city conditions and assess critical issues quickly. View and analyze citizens’ social media sentiments regarding city plans and operations. View problems reported by citizens and see issue locations on a map.